Panoramic view of Shijo in Kyoto. 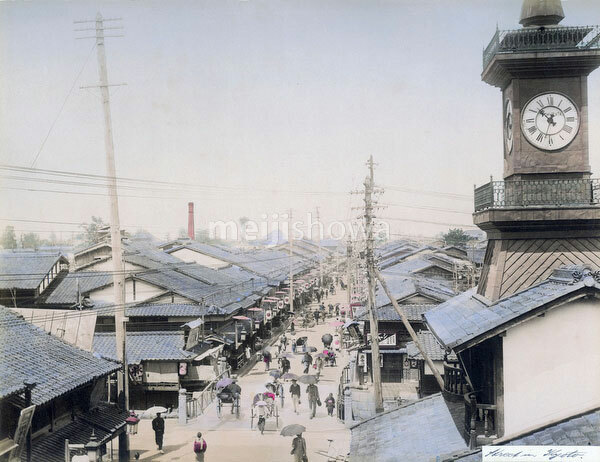 The clock tower on the right belongs to Tamura Watch Shop (村田時計店). It was a famous landmark on Shijodori. The bridge in the center crossed the Takasegawa River. For several centuries it was Kyoto’s most important trade route for transporting goods like rice, charcoal, salt and wood.